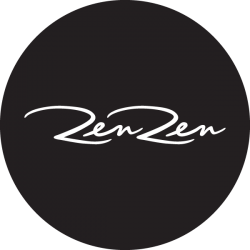 An exciting new, organic treatment for thinning hair has recently come on the scene. Instead of looking to the drug companies to solve all of our problems in a pill, we are finding natural solutions have great results and promote long term heath and beauty. Science behind these natural remedies is Plant Science which is responsible for these high performance natural products. We no longer need chemicals to see definite improvements. To understand how it works it’s important to know why hair gets thin. Most people fall into one of three categories for thinning hair. The first is due to a shortened life cycle of each hair. Each hair has its own life cycle which consists of three phases. First is the Anagen phase, which is the growth phase when the hair gets its length. This phase lasts for 3-5 years as an average but sometimes longer. 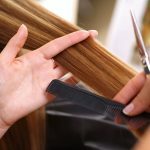 The three years your hair will grow about 18 inches and five years it comes in at a whopping 30 inches before it moves in to the next phase. Next is the Catagen phase, and this the transition between the growth and resting phases. during this time the hair stops growing longer and the root shrinks and detaches. This takes about one to two weeks. Finally, the Telogen phase, is when the follicle rests and the hair will either fall out or stay in place until the new hair pushes it out. These cycles repeat over and over again for each hair on the head. 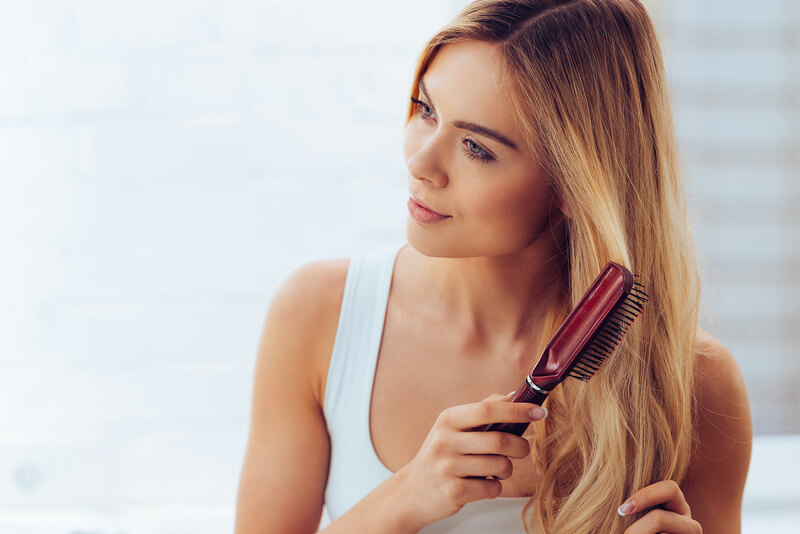 The second category of thinning hair is hormonal. DHT, a testosterone that is produced by cells around the hair follicle which can alter the life cycle by causing the hair follicle to shrink. Because of this shrunken follicle, the hair cannot mature will remain as baby hair and fallout. Eventually the follicle will not produce hair at all. 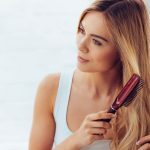 The third category is chemical…from being allergic to certain hair color ingredients … to using poor quality shampoos and conditioners that can irritate, clog and suffocate the hair follicle. 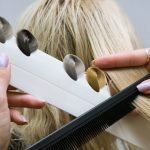 If there is a thinning problem it is important to consider everything that is applied to the scalp, and what can be done to give the new hair the best chance for growth and a long life cycle. As it is with so many things with our bodies, after the age of 30, the growth cycle gets shorter and shorter. That’s not the only reason the hair’s life cycle changes, it’s also due to diet, stress and general health. At this age, the hormone levels begin changing. At first it’s not noticeable but as the years go by the more apparent those changes become. Fortunately, there is something that can be done naturally to promote fuller thicker hair without chemicals and harmful side effects. The Intelligent Nutrients PurePlenty treatment regimen is a three part system that builds density and reinstates the hair’s life force by going to the source. It targets the scalp for a healthy hair cycle. What makes PurePlenty unique is the combination of organic ingredients and plant stem cells which is the key to turning thin, lifeless hair into thick, lush hair. 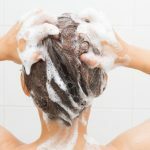 Healthy hair starts with a healthy scalp, you are going to shampoo and condition the hair anyway why not use a shampoo and conditioner designed to give the hair an infusion of life giving nourishment. Starting with the PurePlenty Shampoo nozzle tip, it can be applied directly to the scalp where it exfoliates the surface of the scalp with nettle by removing build up and active aromatic oils which are anti microbial and anti bacterial gently cleanse and prepare the scalp for the optimum penetration of the serum. Second in the trio is the PurePlenty Density Building Conditioner, this super rich formula is applied to the hair, not the scalp, it has aloe vera, glycerin and pea sprout bioactives to build density as well as moisturize to protect the new, fragile hair growing out from the scalp. The powerhouse of the bunch is the PurePlenty Nourishing Hair And Scalp Serum, even though the shampoo and conditioner both contain Ajuda Plant Stem Cells and Saw Palmetto, the serum contains the highest concentration of it. These two amazing ingredients naturally inhibit the release of DHT and promote healthy hair follicles. Saw Palmetto acts in similar way to Finasteride which is in the drug Propecia. Women are never prescribed the drug because of birth defects and it affects the hormonal balance. Finally, a healthy solution for thinning hair in both men and women alike that is up to 40% more effective than commonly used synthetic ingredients at combating the body’s hair thinning hormone.